While there is no strict industry definition for "Microelectronics PCB", this category of PCBs is generally defined as having lines and spaces that are 0.002" (50 micron) or less. They are also often associated with blind, buried, and/or stacked microvias. 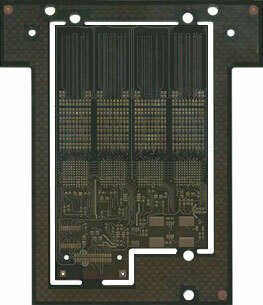 Another cross reference is with HDI, or high-density interconnect PCBs. Microelectronics are used when devices need to be miniaturized. Applications include medical, military, telecommunications, and mobile. Material Handling, tooling, via formation, and inter-layer registration. To view examples of this technology, scroll down and mouseover thumbnail images.